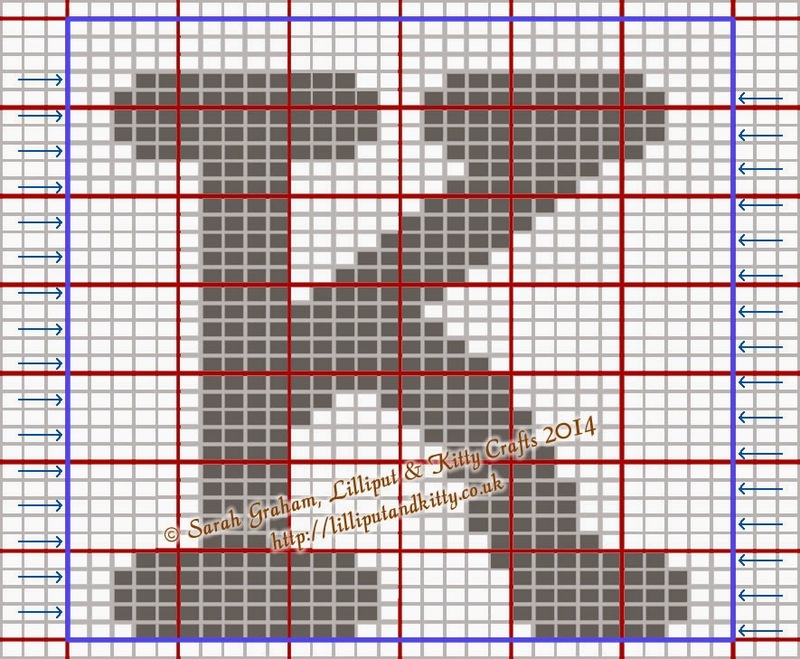 I've discovered that it's pretty difficult to find knitting charts out there for letters. 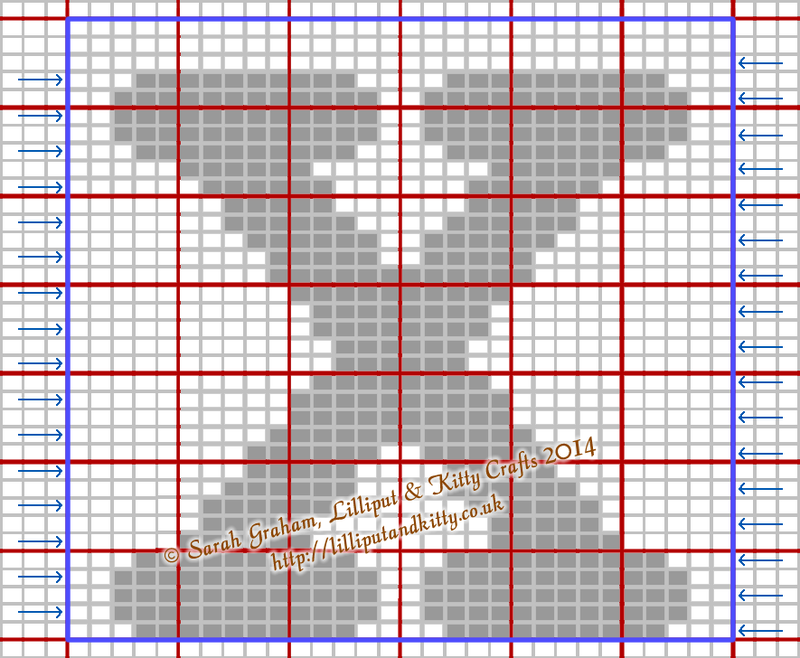 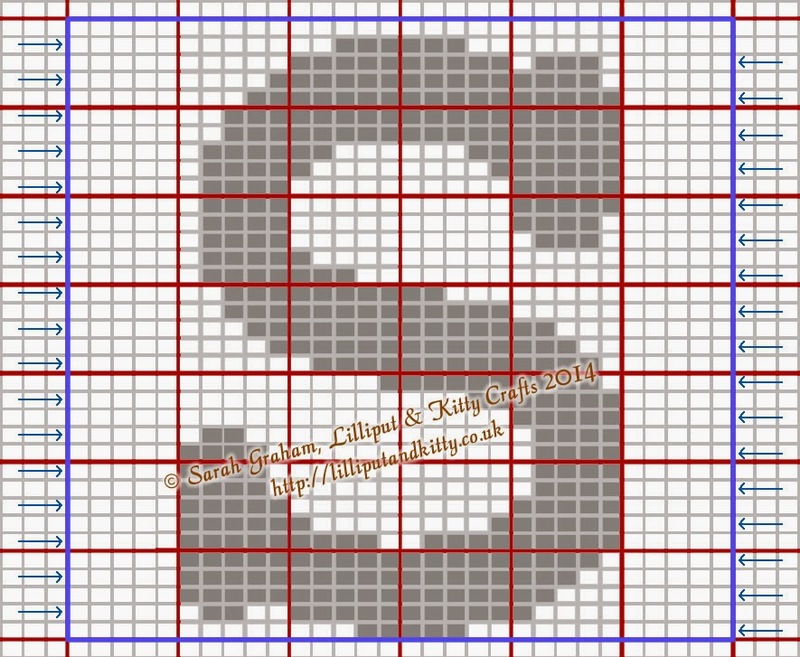 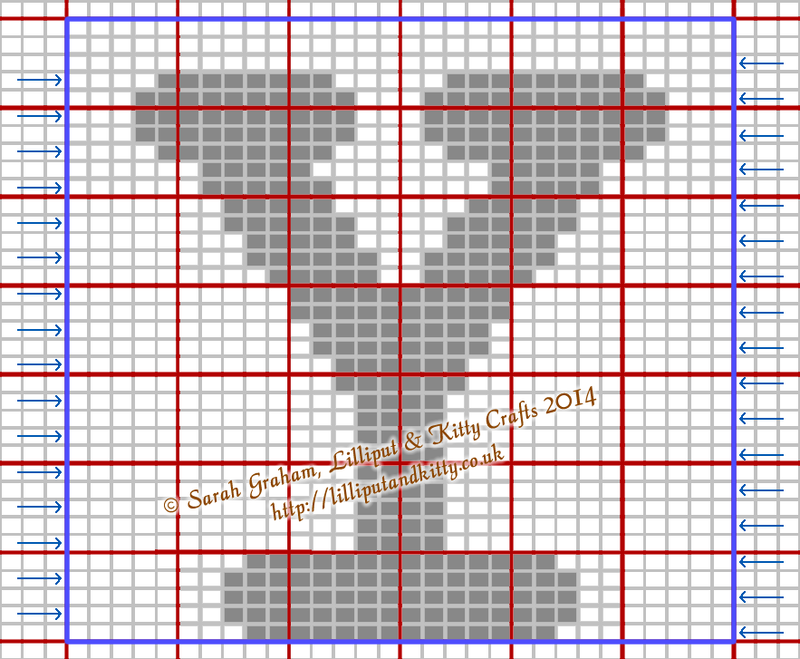 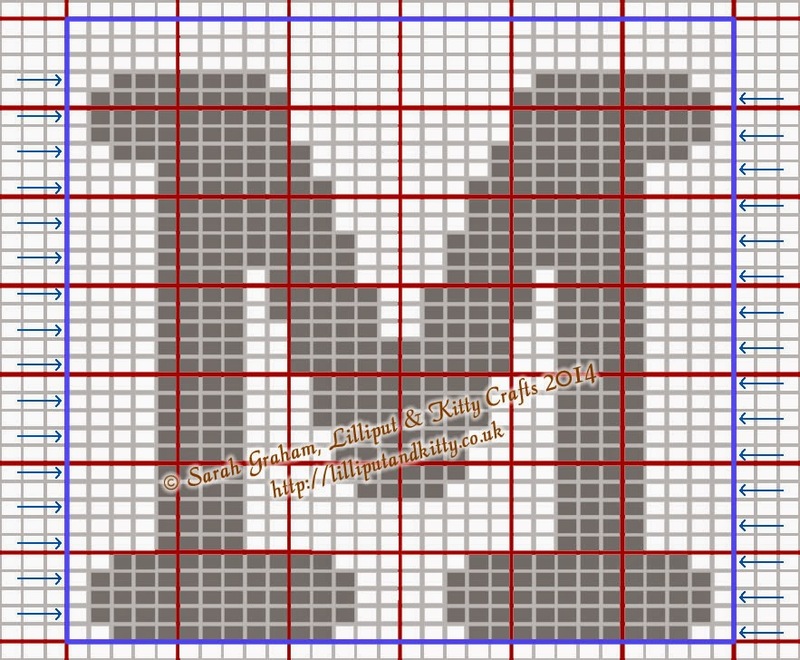 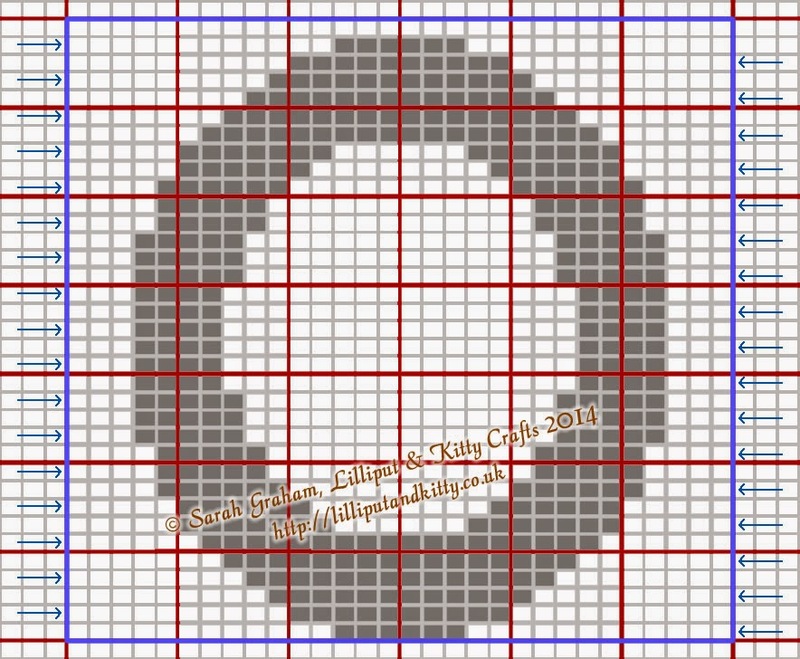 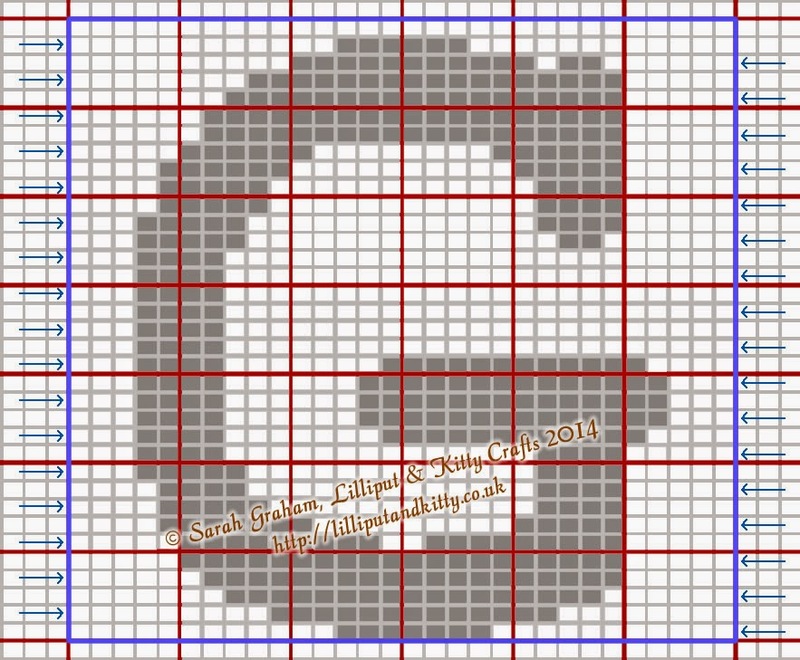 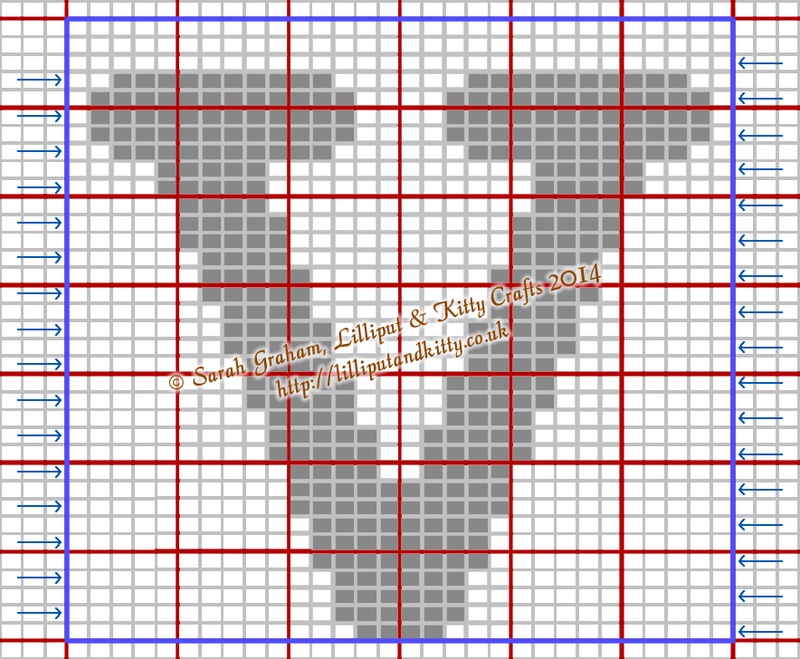 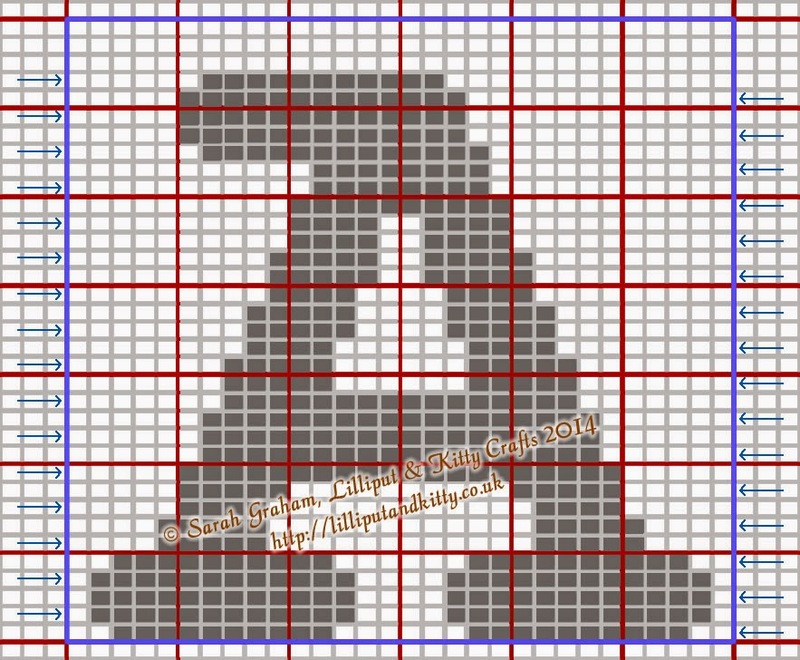 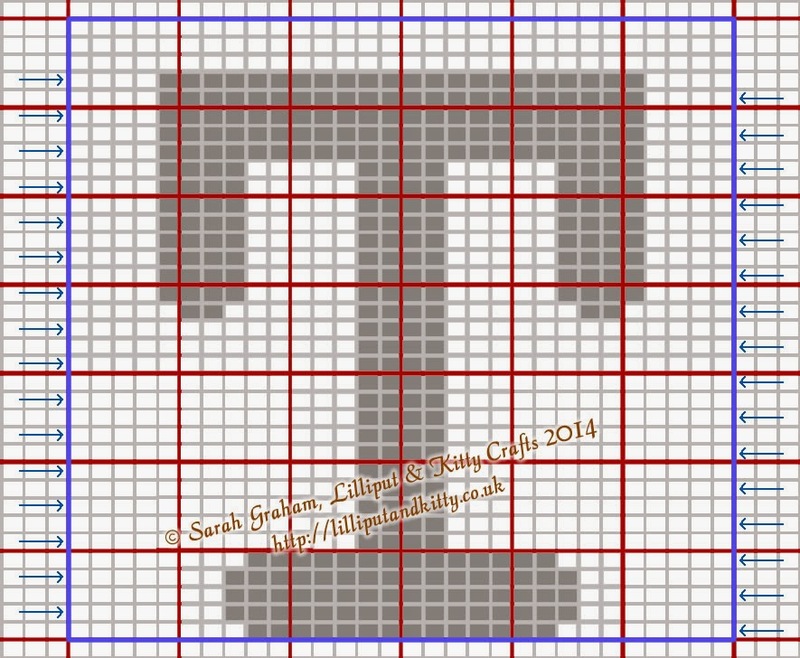 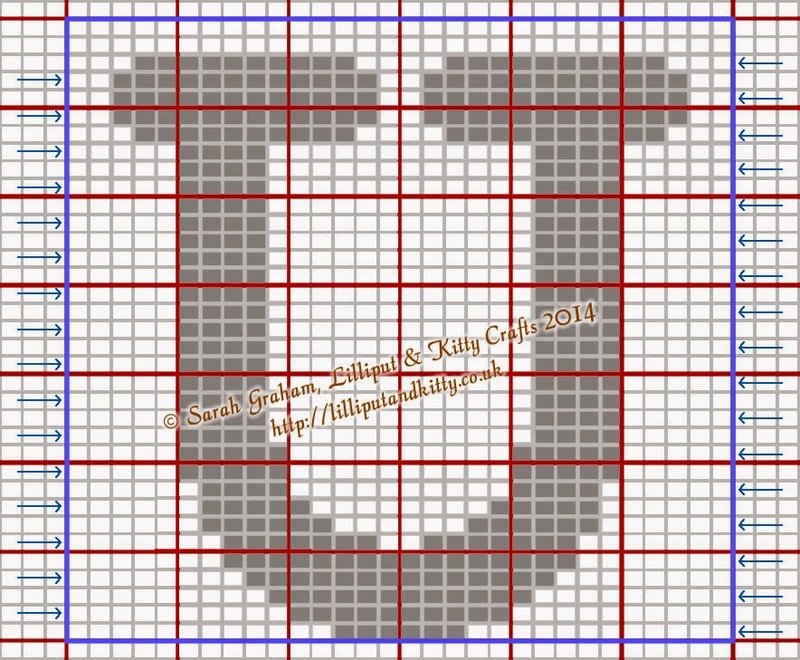 Many of the charts that purport to be suitable for knitting are actually for cross stitch, which is a different width to height ratio than most knitting turns out to be. 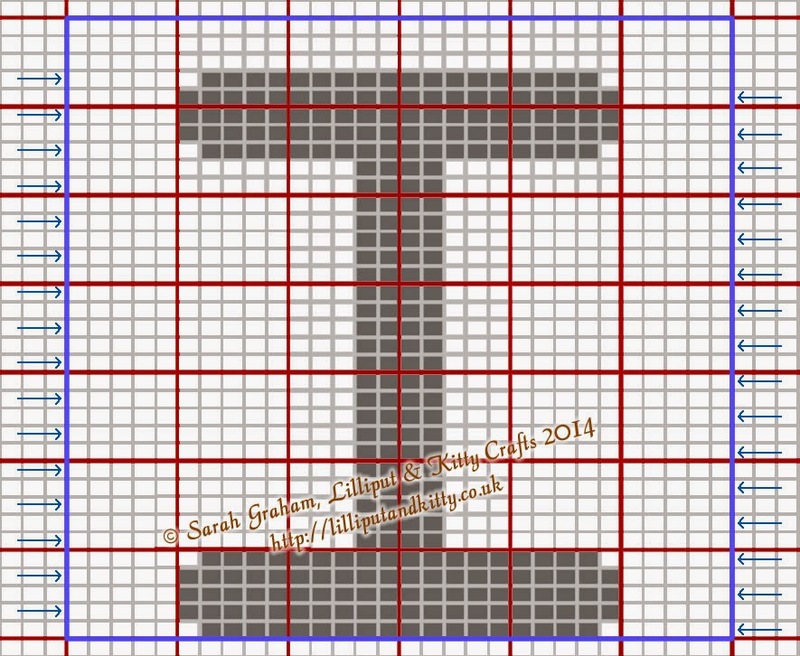 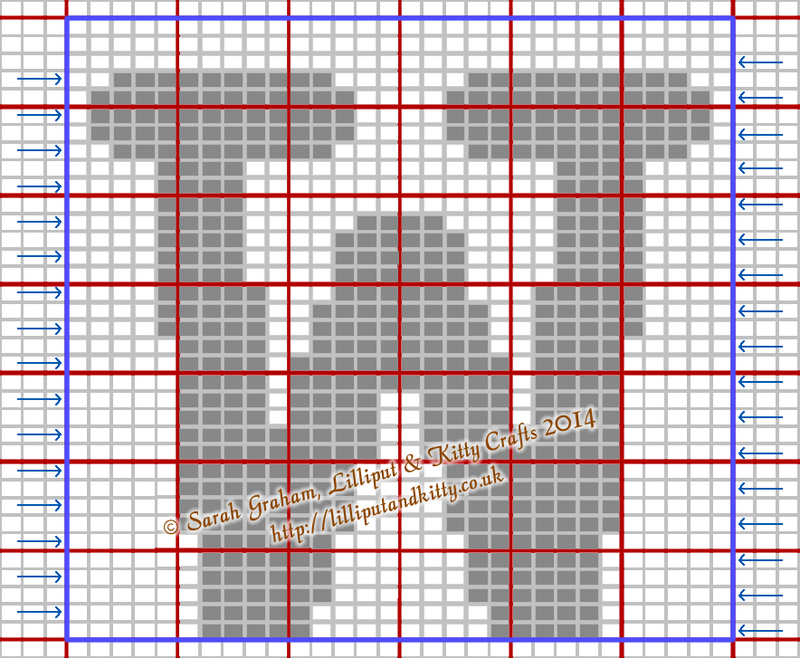 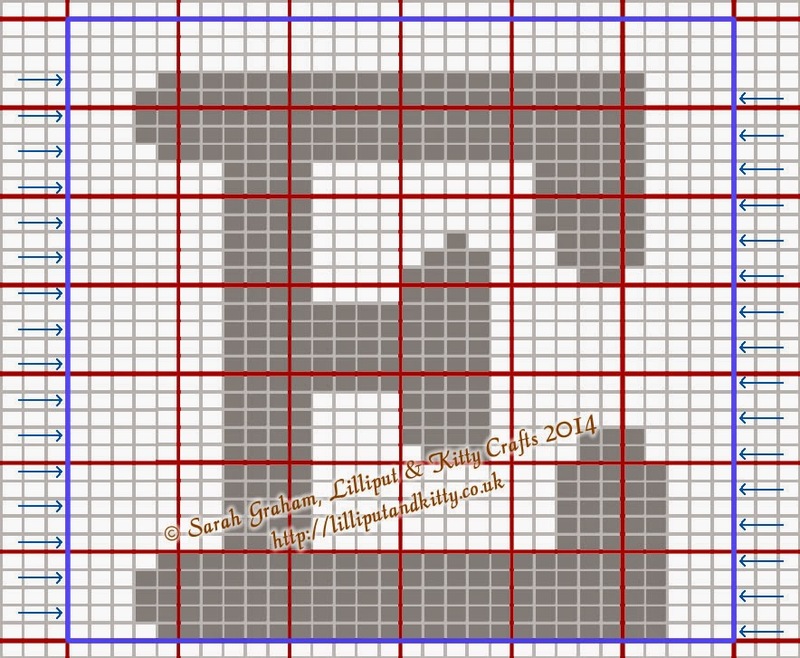 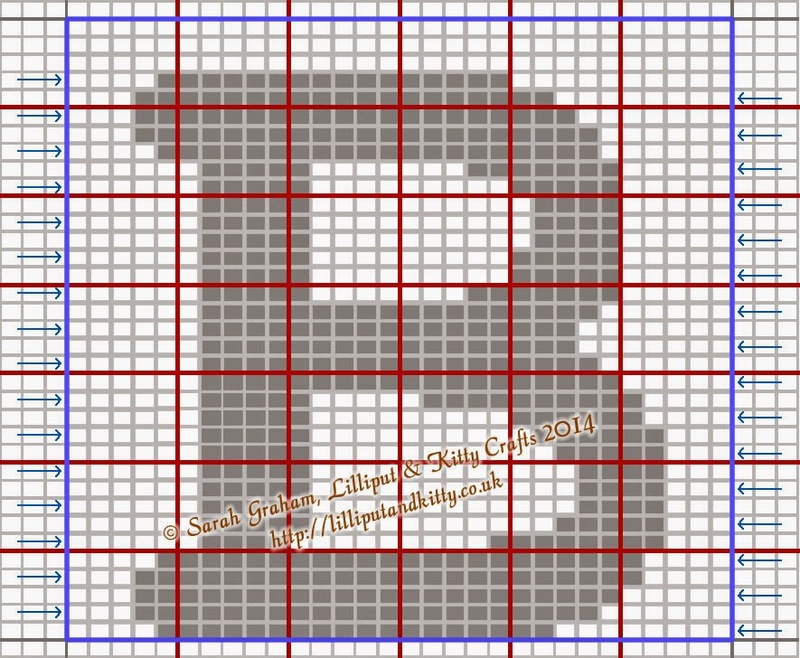 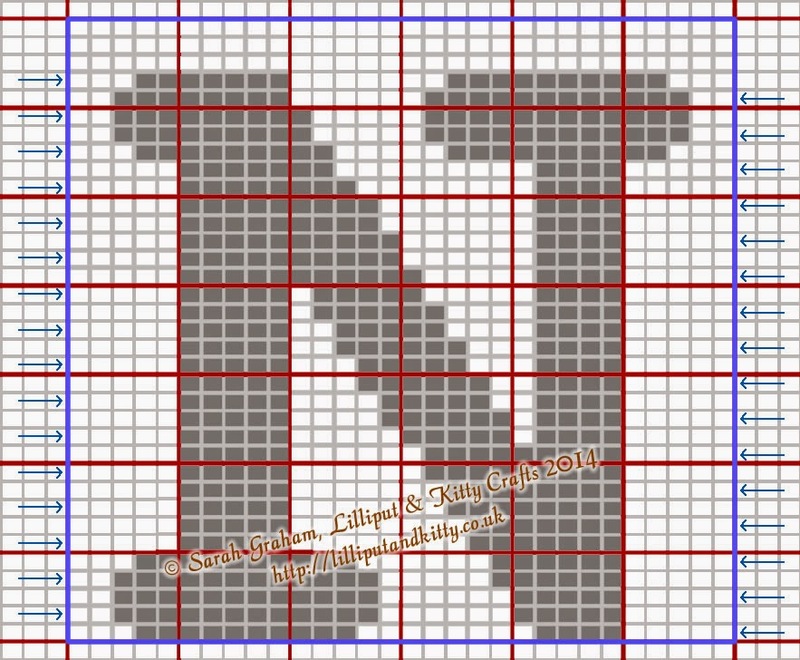 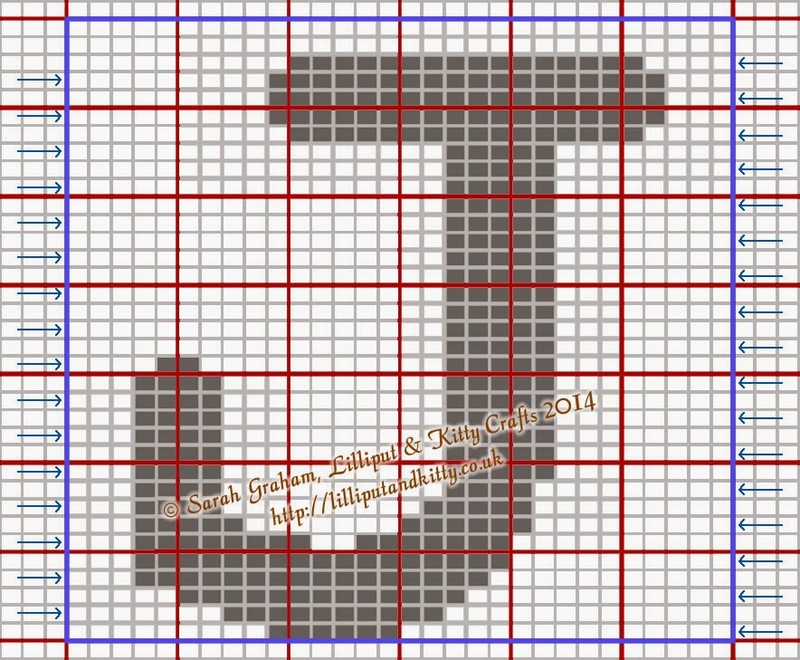 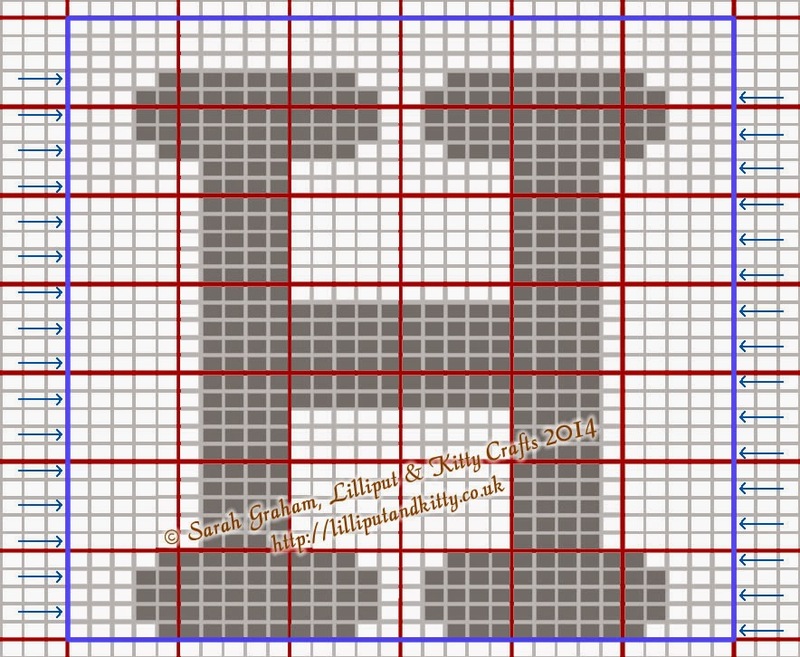 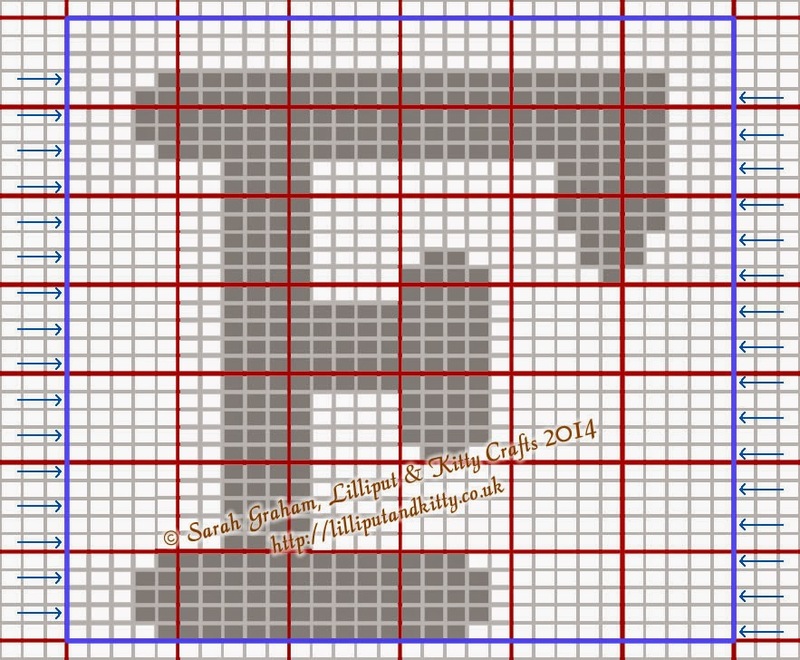 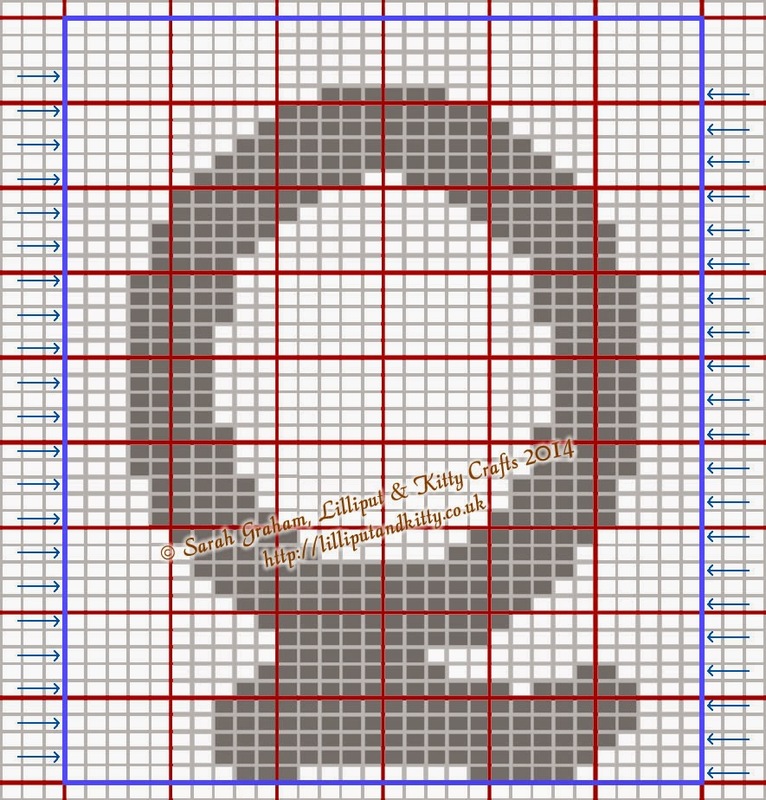 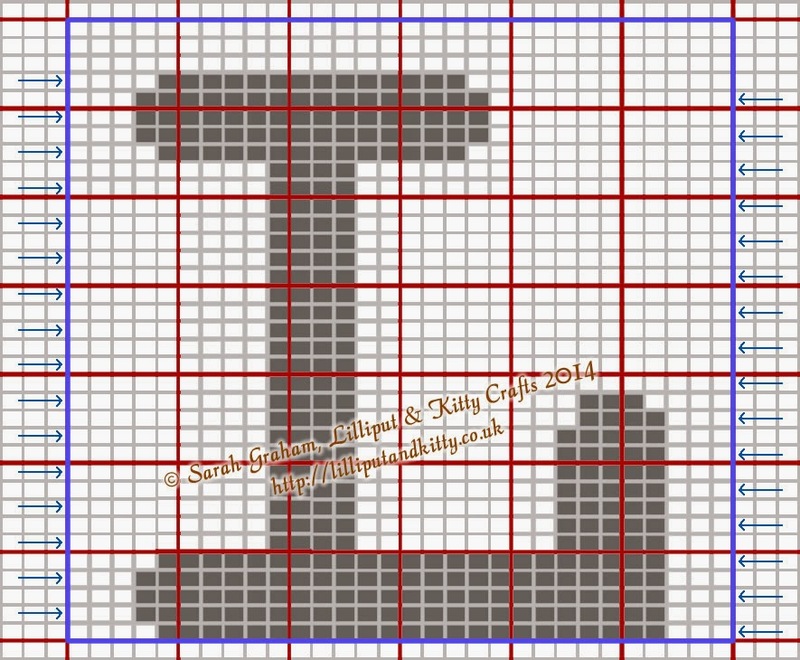 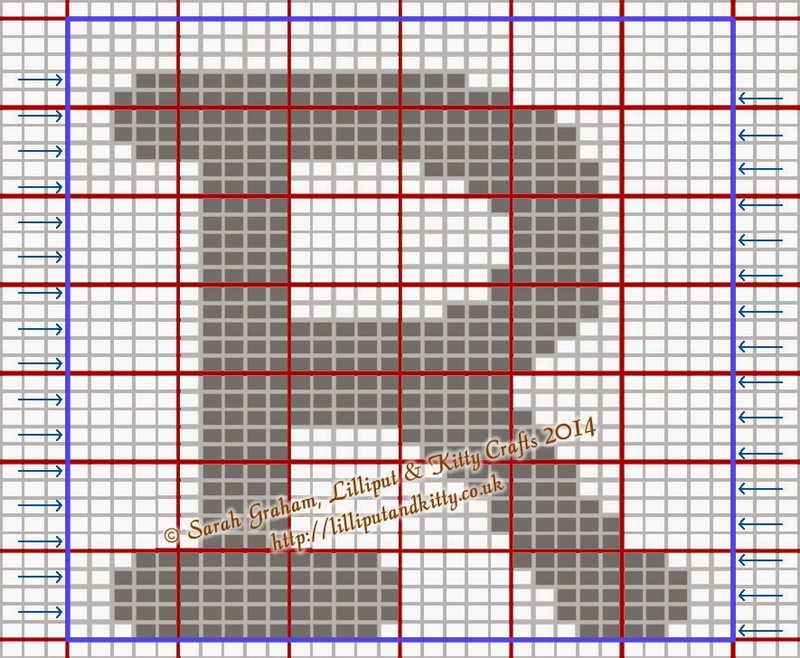 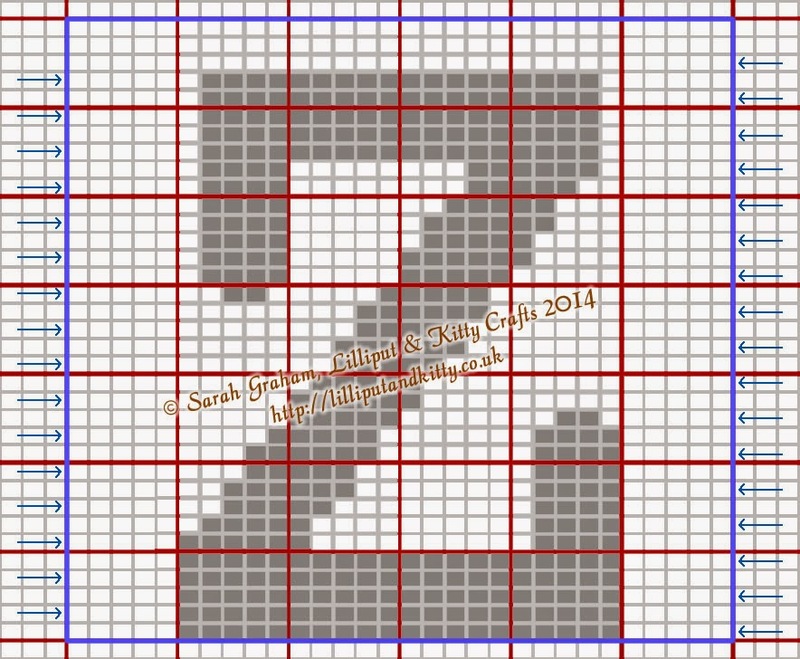 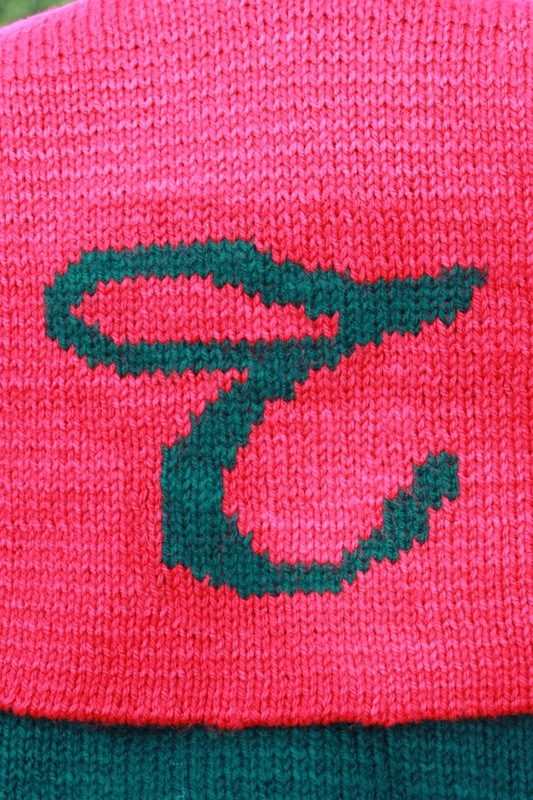 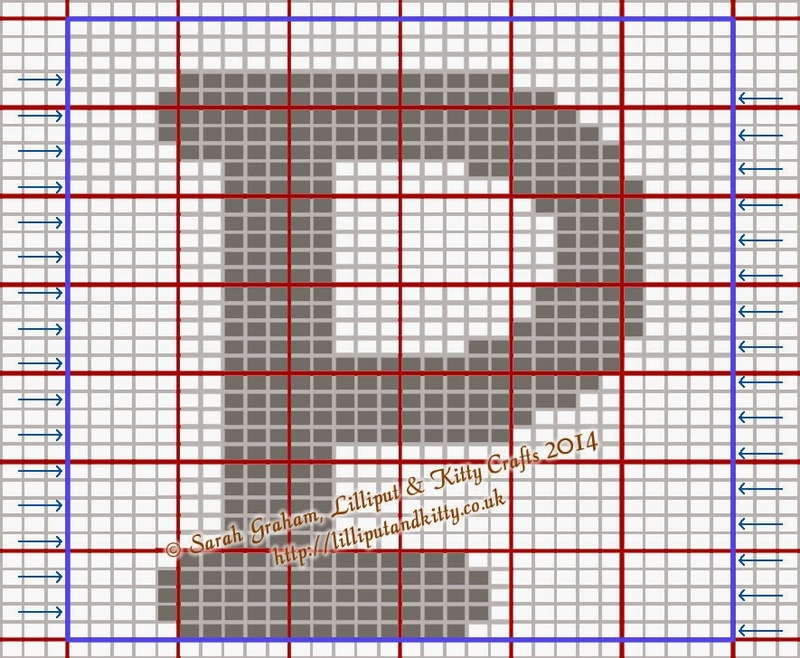 I'm going to start publishing some knitting charts for letters in various fonts. 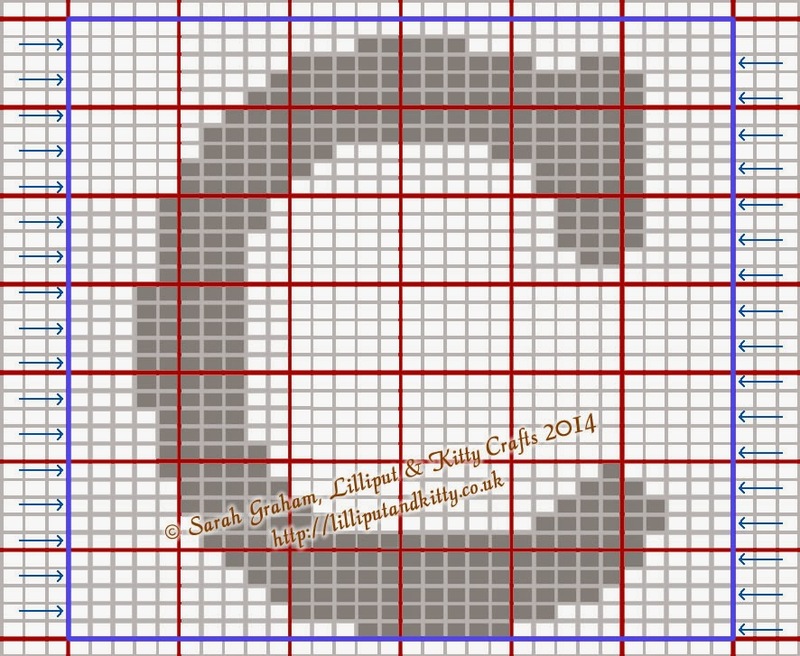 Today, I'm starting with a basic courier font - that's a 'screen print' type font, like you'd see on a computer terminal. 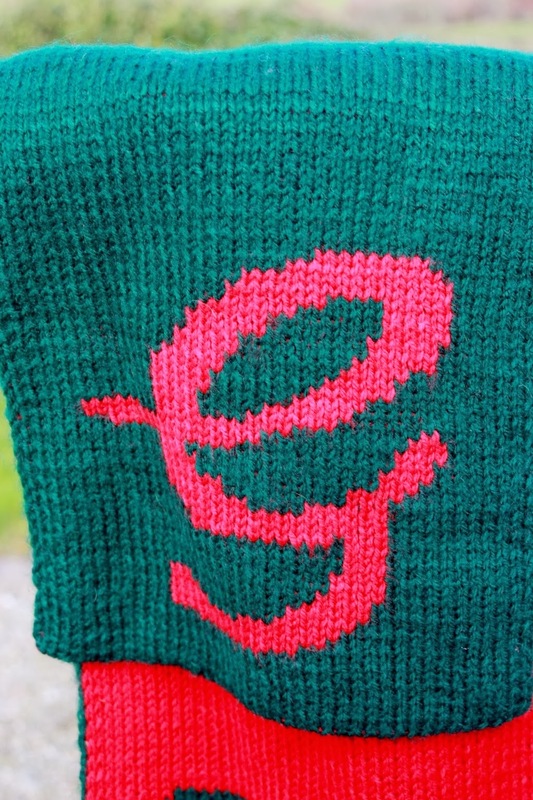 I've just completed a commission for a lady in Missouri who found me through my Etsy store. 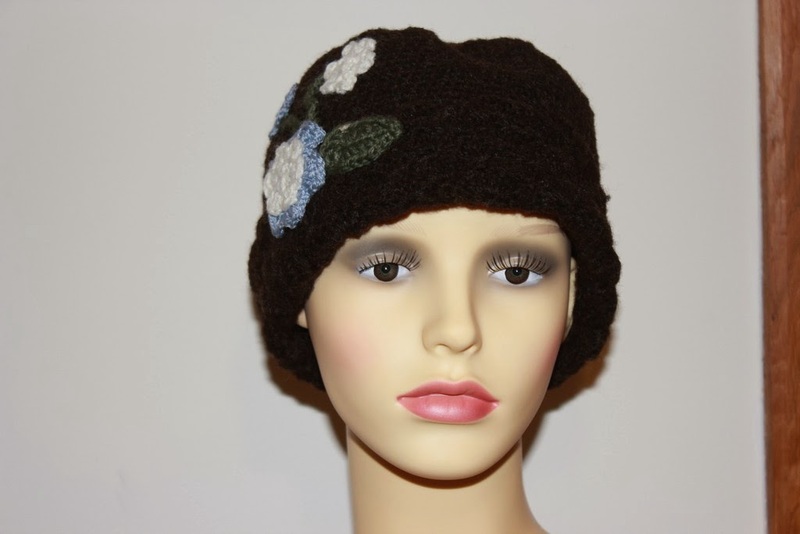 It's another one of the hand spun, crocheted beanie hats made from a local Herefordshire Zwartbles fleece. 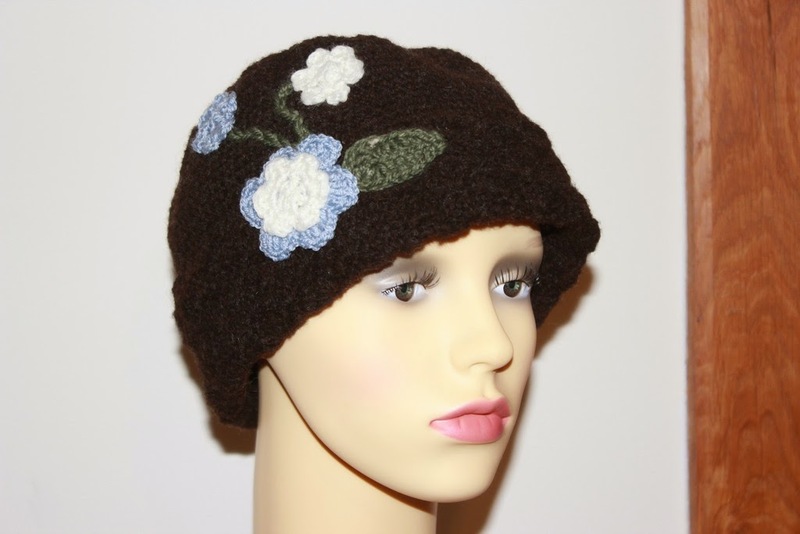 I'm happy with how it turned out; the customer requested blue and cream for the flowers, and I really wasn't sure how that would look on the dark chocolate brown of the fleece, but I rather like it. 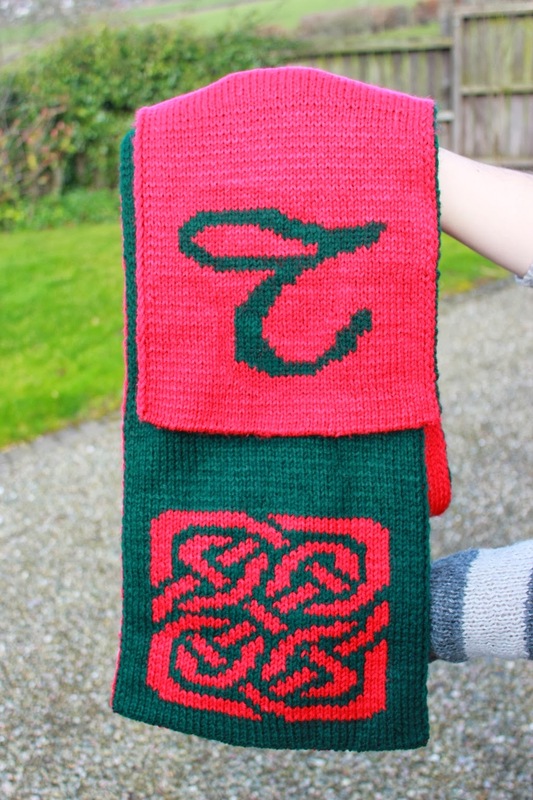 I really must make one of these for myself! 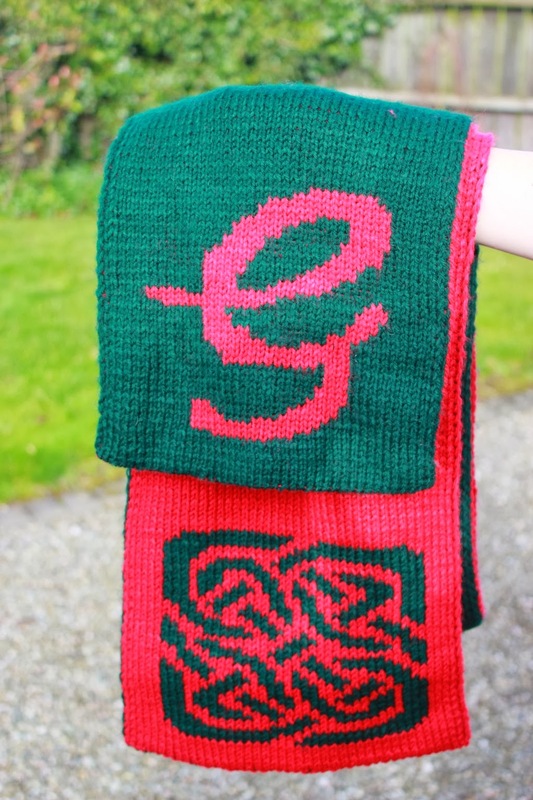 Finishing that allowed me to get back to spinning up some 'real wool', thank goodness. 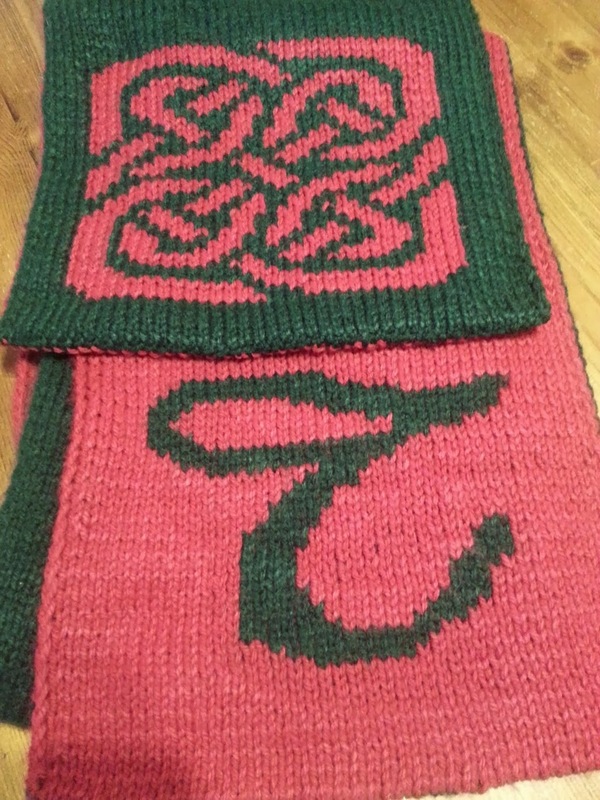 I've still got plenty of that Zwartbles fleece I've been using, and I also have a ton of Jacob fleeces to go at. 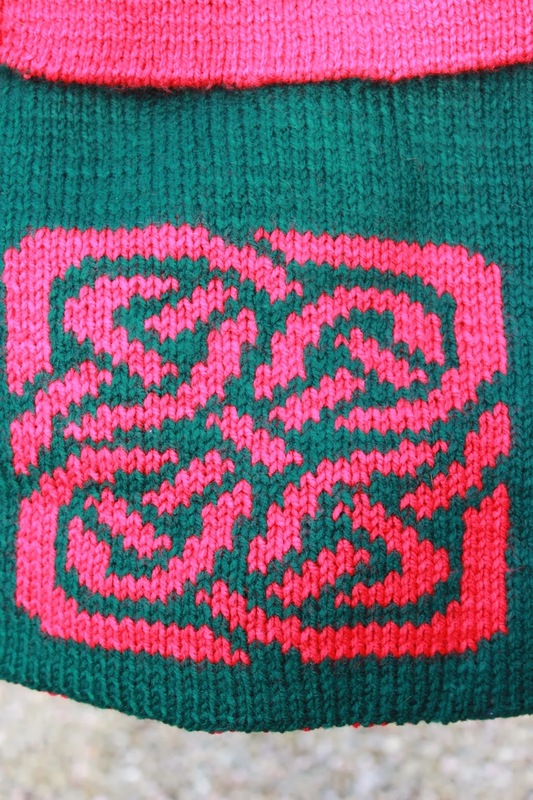 Plus I just bought a couple of rather lovely batches of fleece from Wingham Wool Work, a Shetland and a Manx.